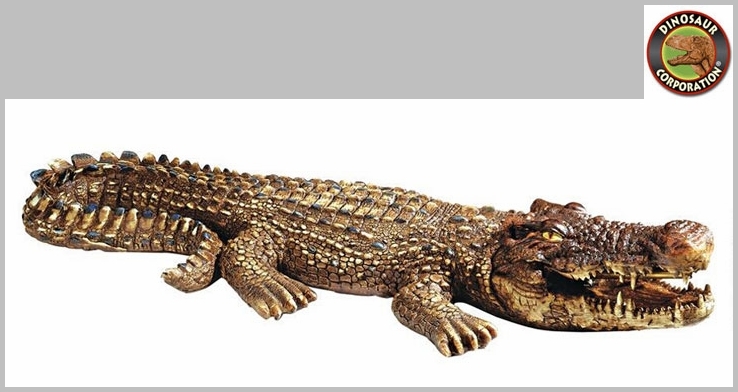 Crocodile Piped Spitting Statue. 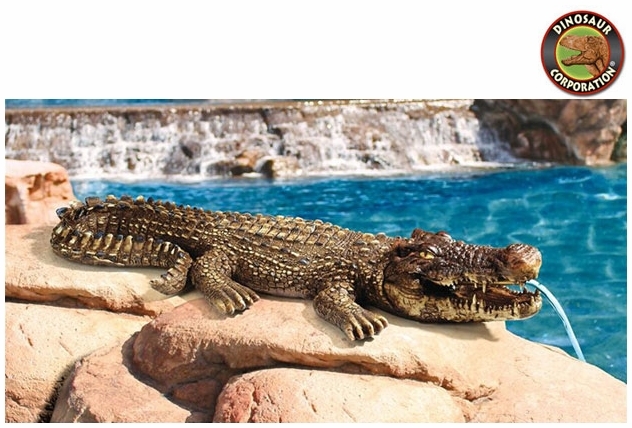 Bring a wet and wild twist to your pond or garden decor with our full-of-character crocodile outdoor sculpture! He's a handsome fellow on land, but arrives already piped, in case you care to oxygenate your pond or water feature with the soothing sounds of water music. * Size: 30�" W x 11" D x 5" H.